Ever more investors are leaving the small handful of the companies that take part in the exploration, exploitation and purchase of non-renewable resources. Western Sahara Resource Watch has looked around on the websites of several European fund managers, banks and insurance companies to see who have blacklisted companies involved in the controversial industry. 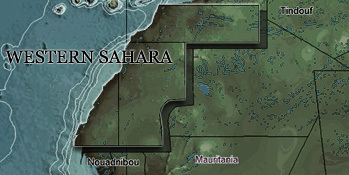 There are three kinds of exclusions: a) blacklisting of shares in companies engaged in exploration of oil in Western Sahara; b) blacklisting of shares in companies with long term import contracts for phosphate rock from the territory; and c) blacklisting of bonds in the Moroccan state phosphate company OCP (Office Chérifien des Phosphates), which recently registered at the Irish stock exchange. In Denmark, large debates followed the publication of the report "Investeringer i besat land" [Investments in occupied country], by the Danish NGO Afrika Kontakt, on 3 March 2016. Danske Bank, a Scandinavian bank based in Copenhagen, excluded OCP on 3 June 2016, citing its involvement “in importation of natural resources sourced in conflict with human rights norms”. Danske Bank had previously kicked out Canadian company PotashCorp, Australia's Incitec Pivot and US firm Innophos Holding for that very same reason. All three those companies import phosphate from occupied Western Sahara through deals with OCP, for their production of fertilizers. In March, the Danish pension manager Pensam for the first time announced the exclusion of Australian importer Incitec Pivot due to "human rights". Danish pension fund Pensionskassen PFA has for some time been excluding Incitec Pivot from its portfolios over human rights concerns. Danish investor Sydbank has according to Afrika Kontakt excluded four companies from its investment universe due to their presence in Western Sahara: Innophos Holdings, Glencore PLC, PetroMaroc and San Leon Energy. The latter three companies are all in cahoots with the Moroccan government to search for oil in occupied Western Sahara. Folksam in Sweden announced having excluded Glencore, Incitec Pivot, Wesfarmers and Agrium Inc. on 23 May 2016. The latter three have been binned over their phosphate imports from occupied Western Sahara. Swiss multinational mining giant Glencore has been kicked for its oil exploration in the territory. Glencore has a stake in two offshore oil blocks in occupied Western Sahara. Swedish bank Öhman published its exclusion list on 24 April 2016, in which it announced having pulled out its investments in Glencore on 1 March 2016. Phosphate importing firms Agrium, Incitec Pivot, PotashCorp and Wesfarmers had been removed on 1 January 2016. In all cases, Öhman cited human rights violations, and lists all companies in the category of companies that are guilty of systematic or widespread infringement of international conventions. Öhman divested from Wesfarmers in 2007. WSRW wrote in 2010 that the Swedish company Nordea had an ongoing engagement with PotashCorp, which last year ranked as the biggest importer from Western Sahara. Those shares were sold as early as in 2013, due to "violation of human rights related norms", and later Incitec Pivot was also divested. Apparently no exclusions of the other companies in Western Sahara have been made by Nordea since. See their exclusion list here. Swedish pensions provider KPA has excluded Glencore, Agrium, Incitec Pivot, PotashCorp, Wesfarmers for violations of human rights. Already in 2008, did KPA exclude Wesfarmers from its portfolios. Swedish Skandia Fonder had as of February 2016 excluded PotashCorp and Incitec Pivot Ltd.
On 8 June 2016, Länsförsäkringar AB, a Swedish group of insurance companies published the list of companies that it holds under observation. In that list appear Agrium Inc, Incitec Pivot, PotashCorp and Wesfarmers, “linked to the violation of human rights through importing phosphate from Western Sahara, and indirectly funding Morocco’s illegal occupation of the area”. Länsförsäkringar also put Glencore under observation, for violating human rights by looking for oil in Western Sahara. On 31 March 2016, Paris-based asset management firm Tobam Core Investments considered it no longer in line with its social responsible investment criteria to continue its participation in three purchasers of phosphate from occupied Western Sahara; Agrium, Incitec Pivot and PotashCorp. Earlier this year, WSRW wrote how the pension fund FDC in Luxembourg had excluded Kosmos Energy, Cairn Energy, Agrium Inc, PotashCorp, Wesfarmers, Incitec Pivot Ltd, Innophos Holdings and FMC Corporation. In a list updated 15 May 2016, it appears that they have now also kicked out Glencore for its "Association to illegal exploration of natural resources (Western Sahara)". DNB, the largest financial services group in Norway and one of the largest in Scandinavia, removed no less than five firms from its portfolios as of 6 May 2016 [or download], over human rights concerns. DNB binned its shares in San Leon Energy, the Irish oil company that is involved in the oil exploration in occupied Western Sahara. In addition, Incitec Pivot, PotashCorp and Innophos Holdings are out. All three are connected to the import of phosphate rock from occupied Western Sahara. Interestingly, DNB also sold off its bonds in OCP, the Moroccan state-owned phosphate company that manages the phosphate mines in occupied Western Sahara. It also stated in a Q1 report that "Illegal exploration of natural resources in the occupied territories of Western Sahara is another area of concern. In this regard, DNB has joined engagement activities directed towards several companies including Glencore PLC." The Norwegian group Eika published an exclusion list as of 17 August 2015 - with PotashCorp listed as one of the excluded companies. Cooperatie Dela, a Dutch funeral insurance provider with around three million members, announced in March 2016 that it had excluded OCP S.A. for "Human Rights violations in Western Sahara". Dutch insurance company Onderlinge 's-Gravenhage blacklisted PotashCorp, for "violation of ethical norms", according to an exclusion list from 2016. Dutch pension fund for farmers Bedrijfspensioenfonds voor de Landbouw blacklisted Incitec Pivot Ltd and Potash Corp at one point before 1 January 2014 due to violation of the Global Compact principles, and Stichting Pensioenfonds APF - the pension fund for retirees of AkzoNobel, a Dutch multinational chemical firm- did the same, according to this report from 2015. The Dutch asset manager DoubleDividend blacklisted Incitec Pivot, according to their exclusion list of October 2015. Legal & General, the Netherlands, in 2015 blacklisted PotashCorp for violation of fundamental ethical norms. AP Funds, Sweden, excluding Agrium, PotashCorp and Incitec Pivot. Storebrand, Norway, excluding Total, Agrium, PotashCorp, and Incitec Pivot. Norwegian Government Pension Fund, Norway, excluding San Leon Energy and recommending exclusion of Innophos Holdings.